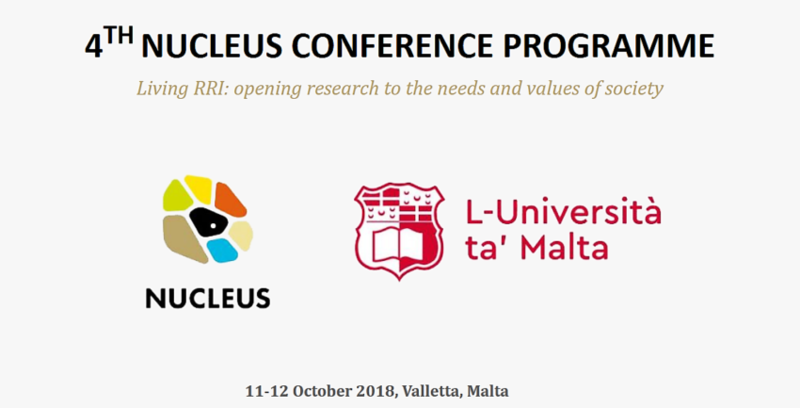 The 4th NUCLEUS project Conference will take place on 11-12 October 2018, in Valletta, Malta. The conference will present the results from nearly three years of case studies and RRI test-beds designed to apply stakeholder-related approaches of Responsible Research and Innovation in real contexts. The programme will allow the participants to explore new thinking and governance frameworks to help research institutions develop trust, engagement and innovation. Participants will be presented with new approaches, and new tools to help them imagine new networks and ways of collaborating within their organisations.